Late March saw a valuable foreign-owned brand in China struggle in face of a Social Media PR crisis that may have been softened or prevented. Here, we’ll take a look at the key lessons to be learned from the incident, and the necessary steps for a foreign business to avoid such a situation. Few things are as guaranteed to capture public attention in China as a food safety scandal. 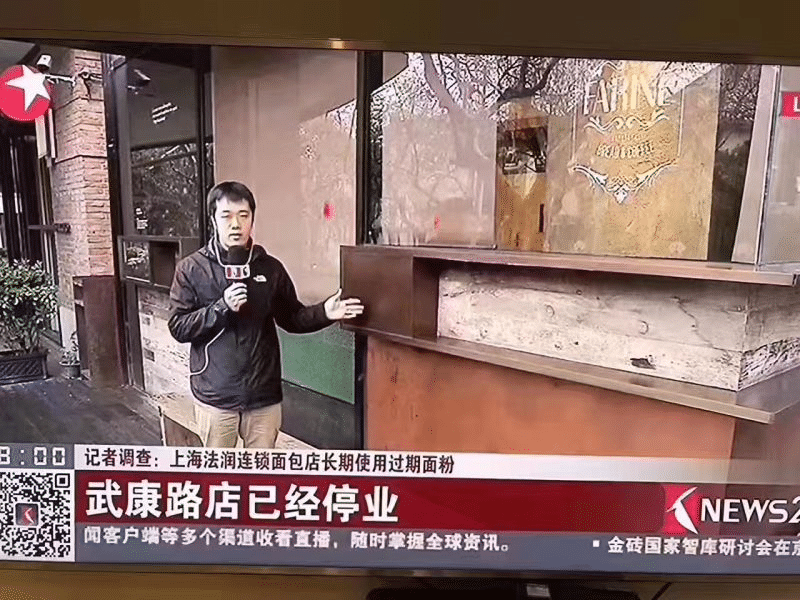 The latest incident involves Farine Bakery, a successful French-owned upmarket artisanal boulangerie and café in Shanghai, which recently opened three new venues. The hit came from an employee, who in his Weibo posts accused the business of various health code violations, in particular, the use of flour beyond the expiry date. 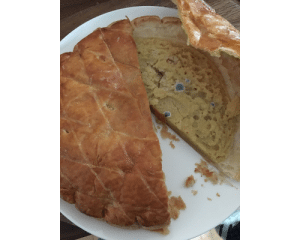 Enormous brand damage: Even though the use of flour is safe for consumption up to 8 months after the expiry date, it indicates a serious breach of trust from a premium brand. Chinese consumers still expect the bakery to offer them the best. Ironically the word “Farine” means wheat flour in French. Virality: The initial post didn’t take long to take off, receiving press coverage within a few hours of trending. Timing: The five-year-old brand was accelerating its growth with three new openings in high-end malls in 2016. Impact: As a ripple effect, the other businesses of Farine owner temporarily shut down operations. The shadow of the scandal is looming large over their respective brand profiles. Inefficient response: The public statement put out 48 hours after the topic caught nationwide attention contributed to Farine losing much of its grip on the story. An unverified photoshopped picture of mold on one of Farine’s bakery items circulating on Wechat. Most are now left wondering if Farine can make up for the brand equity loss, or even survive the blow. Interestingly, the most efficient damage control efforts are those originating from the loyal faction of Farine’s expat clientele, with a few French nationals claiming sabotage. This was circulating on Wechat within a couple hours after the story broke. Foreign Businesses = Sitting Ducks? Foreign-owned food businesses are definitely under the scanner. Those located in Shanghai might consider conducting internal audits; the Shanghai Food & Drug Administration (FDA) offers a RMB 300,000 reward for whistleblowers who report food safety violations. Foreign enterprises would do well to learn from Farine’s situation to avoid being labeled with the “gate” suffix. Analysts point to the eagerness of authorities to make an example of offenders. It doesn’t help that the market is characterized by information asymmetry, fast evolving laws and codes, and heavy bureaucracy. Protectionist trade and economic policies, coupled with nationalism and stiff local competition, add to the burden and are not expected to ease up anytime soon. Across industries, foreign businesses are expected to conform to a higher degree of scrutiny and standards. On the consumer side, Chinese buyers remain disillusioned by numerous domestic scandals and expect foreign businesses to offer the best quality standards. While previous similar instances usually boiled down to misconduct of a local partner or supplier, in Farine’s case, the allegations are based on internal practices and negligence, strengthening the perception of culpability. Intense scrutiny is a given of the post-internet era, especially in China, and being unprepared can sound a death knell for a company’s goodwill. It can be difficult to fix the point at which “sufficient brand awareness” would justify expending resources to protect it – usually it’s when your brand in China becomes a main driver for your bottom line. If you had to rename your entity tomorrow, how much business would you lose? 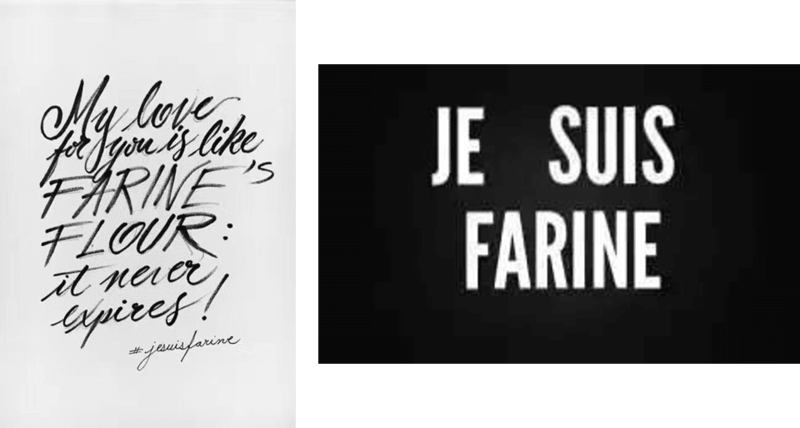 Farine has likely not been investing in social intelligence. As Flourgate shows, keeping a constant finger on the social conversation’s pulse around your brand is key to delivering a timely response. 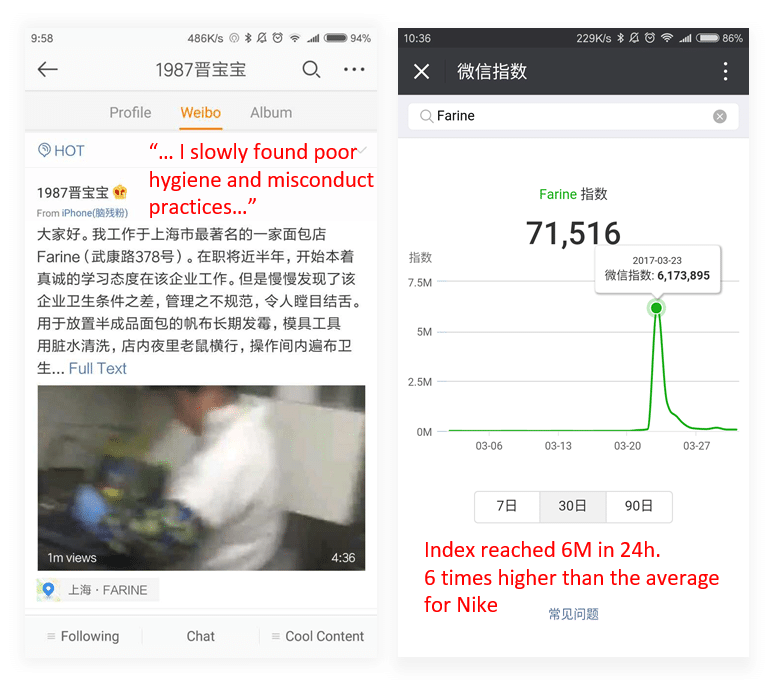 For crisis monitoring, you can most probably get away with monitoring Weibo and WeChat public articles (if you’re a SME – if a MNC, you should invest in full coverage). Depending on your company profile and industry, data sources for monitoring can extend to news portals, BBS (Bulletin Board System) forums, video portals such as Youku, Dianping reviews, and comments on e-tailer platforms like Taobao and JD. There are three accessible methods to incorporate this practice into your business – hiring a digital marketing firm, a PR firm, or handling it internally. Each carries its own set of benefits and drawbacks, so choosing the best alternative would depend upon internal factors. If you already have a digital marketing or social media agency doing work for your firm, chances are strong they can do social media monitoring as well. Recommendation: ask the agency to bundle it into the retainer agreement since it should not exceed overall 1-2 additional man-days a month. Most PR firms that include crisis management in their scope can offer services for monitoring and alerts. A quick benchmark showed the standard cost for monitoring one brand running at a minimum of RMB 25,000 a year. We wish we could use Google Alerts and a tool like mention.com for $100 USD a month over here. However, China’s fragmented internet ecosystem doesn’t allow this to be effective, and there are only a few working alternatives. This is a cost-effective method if you already have the necessary resources – someone who can carry out checks on a daily basis and is savvy enough to identify potential problems without creating false alarms. Most tools charge by volume of mentions or requests, the price is largely dependent on brand exposure. 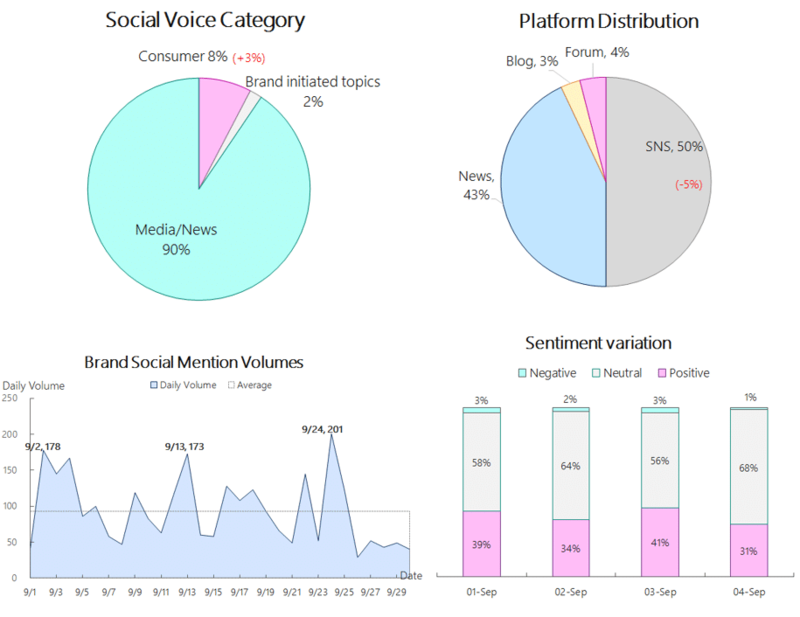 For example, SimplyBrand charges RMB 5,000 for 50,000 mentions across unlimited keywords. 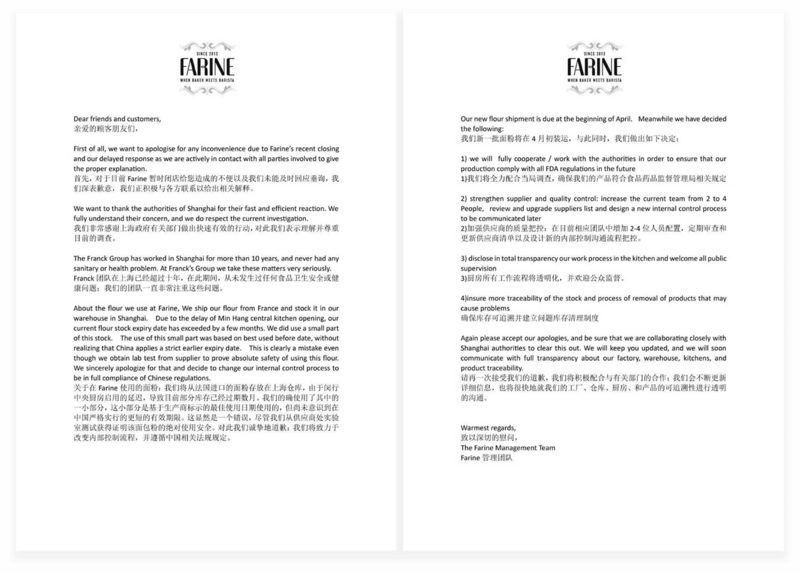 Despite the tardiness, Farine’s apology is technically solid. Contrition for the delay in response, grateful acknowledgment of the authorities’ involvement, reference to their history of upholding high standards, and an explanation-based admission of guilt. All this and a plan of action, assurance of full cooperation with local regulators and a promise to follow-up on improvements make for a sincere and comprehensive statement. The only issue here is the detached “The Farine Management Team”. Impersonal communication doesn’t give the impression of accountability and authenticity, both of which are crucial in rebuilding trust. Farine’s key remaining challenges are its ability to effectively carry out a post-crisis analysis, fix their SEO & press coverage along with their reputation. Indeed, this is much easier said than done, but given the short attention span of consumers, a focus on long-term good conduct, willingness to transparently carry out and publish independent audits could be what Farine needs to restore its standing and goodwill in the market. Fostering a strong culture of compliance at every level of your business can go a long way even in the face of a manufactured scandal. Keep a small list of PR crisis management quotes and working numbers from PR firms and contacts at hand. It can save a significant time when the cost of each minute is as heavy as a week’s time. Should you prefer handling crises internally, you need to assign specific doomsday duties to personnel. Prepare statements and responses for a variety of scenarios, and earmark employees for carrying out such duties. Don’t hesitate in filing reports with the platform or the police when it comes to malicious sock accounts. It is a well-known strategy employed by competitors in China who are adept at pushing the momentum on negative sentiment. Whenever possible, engage customers in an open and positive dialogue on social media. Turning a blind eye and deaf ear to doubts and concerns increases the divide between brand and consumer. Avoid mechanical responses, social media users are smart enough to spot boilerplate text when they see it. Finally, a bonus reference: this fantastic crisis management flowchart from Agnes + Day. This article was written by 31Ten, Digital Strategist experts and originally published here. Naini is a digital analyst at 31Ten, a Shanghai-based boutique digital consulting firm. A recent graduate of Zhejiang University, Hangzhou, she has studied in India, China, and the US. She writes about culture, design, the internet, business, and policy issues. Joseph is a partner and head of digital strategy at 31Ten. He helps brands to build and execute a solid and comprehensive plan to tackle the complexity of China’s fragmented digital ecosystem and to find the most efficient road to reach an ever agiler Chinese consumer.